» TODAY ON FRANKLY SPEAKING – THE LEADERSHIP WITHIN. TODAY ON FRANKLY SPEAKING – THE LEADERSHIP WITHIN. Leadership is not exclusively about positions of power and authority, leadership is much more about influence. It is your ability to connect with others and secure their buy in regarding your vision, conviction or advocacy in life. It is about drawing attention of the people that matter or those involved to something important, useful and relevant. Many people today don’t realise they are leaders as they usually suppose leadership is in positions and appointments. Many don’t think they can influence anyone or anything. Many primarily see themselves as subjugates, on lookers or supporters of anything they see or identify with. Many don’t really know everyone is a leader. You see, all humans are born as kings, you are not created by the almighty to just exist and pass through this world without impact or influence. You are on an assignment, you are here to achieve a purpose and deliver a good to humanity. The almighty definitely does not waste resources, hence he wouldn’t waste his time and creativity investing so much into you for nothing. You are not on this earth to exist, eat, procreate and die off one day. If that’s all there is to you, I’m afraid other creatures can do that as well. There is therefore a superior purpose to your being human than eating, existing, surviving and procreating. You are definitely made for more. There is something powerful, relevant and critical to humanity, especially those around you, that your maker deposited in you and only you can most efficiently deliver to better the lot of those around you and in fact your generation. Many have heard this remarks several times and today it may not be that inspiring or motivating but your feelings and disposition to this fact does not refute the reality that you are more than just another number making up the 7 billion humans on earth, your life is very important to humanity and your maker will demand accountability; beyond for a life of morality, you’ll also account for your assignment and gifts and purpose on the day of reckoning. Your talents, be it five, two or just one is your makers investment in you and he would surely ask one day how you used it and profited humanity with it. That talent, that gift, that natural ability; your passion, conviction and persuasions on matters of life and humanity, have you buried them? That special humanitarian need that the almighty tailor made you for, is it still suffering? That humanitarian gap, the correct answers to the needs of mankind, the needs of men, the needs of women, the needs of children, the needs of families, the needs of marriage, societies, the need for equality, fairness, protection, preservation, creativity, reorientation, spirituality and all the world is still in dire need of and your maker designed you to answer, are you answering? Have you buried your natural gifts and talents under the soil of that desperate need for survival, social rivalry, materialism, perceptions, prestige, opinions of men, or greed? Is the whole of your life today centered around making more money to outdo your rivals and competitors in materialism? Are you investing anything in your purpose and your reason for being in this world? Without your school certificates, qualifications and your employment identity card, how would you describe who you are, how would you introduce yourself in destiny? Is your self-definition achievement based? Do you introduce yourself by what you are and what you’ve achieved? Without the job without the business please who are you? If you can’t introduce yourself based on your assignment and the agenda you’re here to push on earth, you are yet to manifest leadership. Your maker is not going to demand of you your certificates and qualifications and official positions on the day of reckoning, but surely, he’ll ask about your gifts and talents and calling as these are the things He personally invested in you for your purpose and assignment on earth. What are you doing for humanity? Who is blessed and glad you are alive? Who is thanking God daily for your life? Who is grateful to God that you exist? Who and what are you positively influencing for good? Do you sincerely care about the needs and pains and hurt of others in this world or your personal needs and comfort are your priority? Then you’re definitely not a leader. Leadership is the ability to influence humanity positively based on your calling, talents, gifts and design. Position and titles without influence is not leadership, its pure vanity. For you to truly enjoy your stay in this world and enjoy real peace in the midst of all the pain, hurt and hardship, you must locate your place and fulfil your assignment. Having such peace that people around you can’t understand especially in the midst of crisis is found in the place of your purpose. Tension, agitation, fear, insecurity and panic characterises the life of anyone misplaced in this world. They are the sighs that follow those who are not in their place in this life. You are naturally designed to lead, your being human is the proof you’re created to have dominion. The kingly nature in every human is proven through the desire to control everything and everyone. That natural inclination to dominate and control people and situations is proof you’re a king. Other creatures don’t have it, they just want to survive. Being a natural king makes you a natural leader. This implies there’s an aspect in life, a side to humanity you’re expected to dominate and influence. That aspect is actually your kingdom, your domain as a natural king, if you’re not dominating the area of life you’re custom made to influence positively in life, you’re failing your kingly nature hence you’re not leading in life. This hence, is probably the reason for your frustration and many worries in life, the life you live is not designed for you; it’s a life type less or different from yours hence you’re misplace and I’m afraid you can hardly be happy no matter how rich you are as in this life it is possible to fail successfully. Your creator’s Priorities. If you believe in the concept of the higher being, if you believe in God, if you believe all things that we see and the whole universe is not a product of chaos but finely designed and articulated by an intelligent super being the majority of humans call God, you must hence find out his priorities. I think this is embedded in our conscience as humans. The knowledge of good and evil; not judging from the perspective of our personal feelings but the consequence on all concerned should lead us to His priorities. Love is better than hate. Generosity is superior to greed. Giving life is better than taking a life. I’m persuaded our maker’s priority is to love humanity, preserve the earth and all inhabitants, fairness and justice and doing good to all. Within all this, you should connect with your leadership essence and your place in this world. Your deepest convictions. Anything about humanity that touches you emotionally either in passion, pain or positive obsession is a pointer to your throne of influence and leadership on earth, go after it. 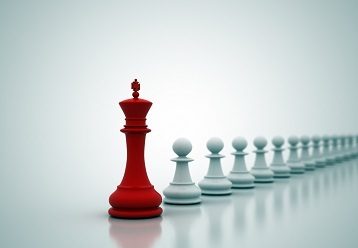 Leadership Identity – Once you connect with your deepest convictions, don’t keep it to yourself, develop a model for manifestation and influence. Conceive a strategy for manifestation. Do something about it. The whole creation, is eagerly waiting for your manifestation at your place of influence. Let the world know you for something. Say and Do. Don’t just speak, advocate, campaign, canvass and speak up for something, you must practice what you teach and preach and present and represent as well. Don’t just say things, People are better influenced through proof not just by talk. Talk is cheap. Don’t ask of others what you’ve not sacrificed. You must lead by example. Don’t ask what you’ve not given or can’t give. Eternal value. Whatever you choose to do, wherever you choose to lead, anything you spend your life and time on, on earth must have the capacity to outlive you. After you pass on, the good work must continue. Any investment, job, career or sacrifice that will go to the grave with you is perhaps not a worthy one. Let your mark on earth and humanity have eternal value. Leave glorious eternal foot prints in the sand of time. Ladies and gentlemen, you’re indeed a king, with an area to dominate, there is a leader within you, its time you manifest. Thanks alot my gaffer……may God continue to inspire you.